Today is #NationalDogDay which seems like the perfect time to announce the release date and trailer for Amblin Entertainment & Universal Pictures upcoming movie A DOG'S PURPOSE. 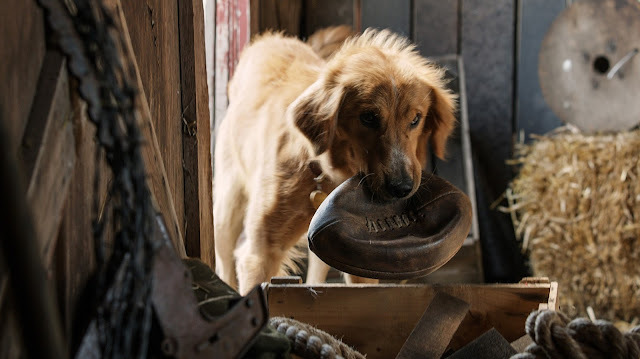 Based upon the bestselling novel by W. Bruce Cameron, A Dog's Purpose shares the soulful and surprising story of one devoted dog who finds the meaning of his own existence through the lives of the humans he teaches to laugh and love. This family-friendly film told from the dog's perspective (voiced by Josh Gad) stars Dennis Quaid, Peggy Lipton, Britt Roberson, K.J. Apa, Juilet Rylance, Luke Kirby, John Ortiz and Pooch Hall.